Tourmaline, like the Topaz, is made of a mineral that bears the same name: Tourmaline. It also has a wide array of colors, depending on the trace elements present in each stone. A lot of people refer to it as the 'gemstone of the rainbow'. 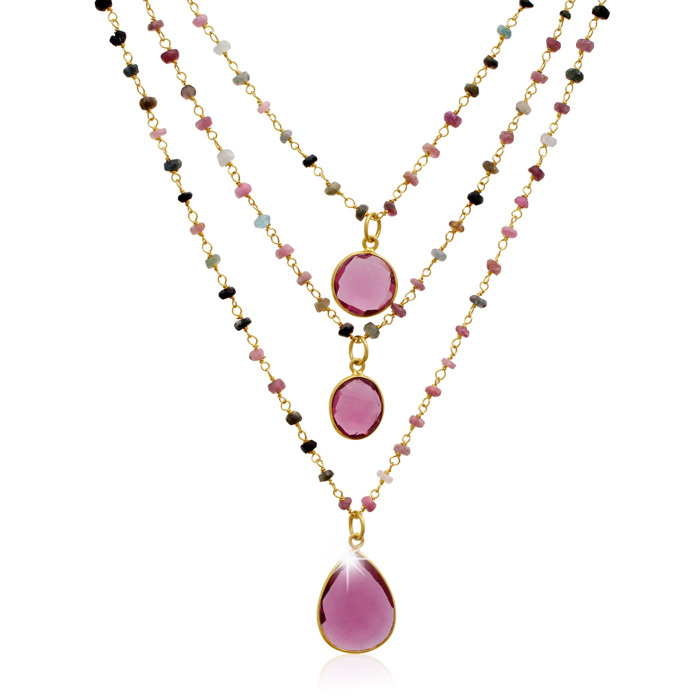 This gorgeous necklace features 58 carats of varying shapes and colors of natural tourmaline. 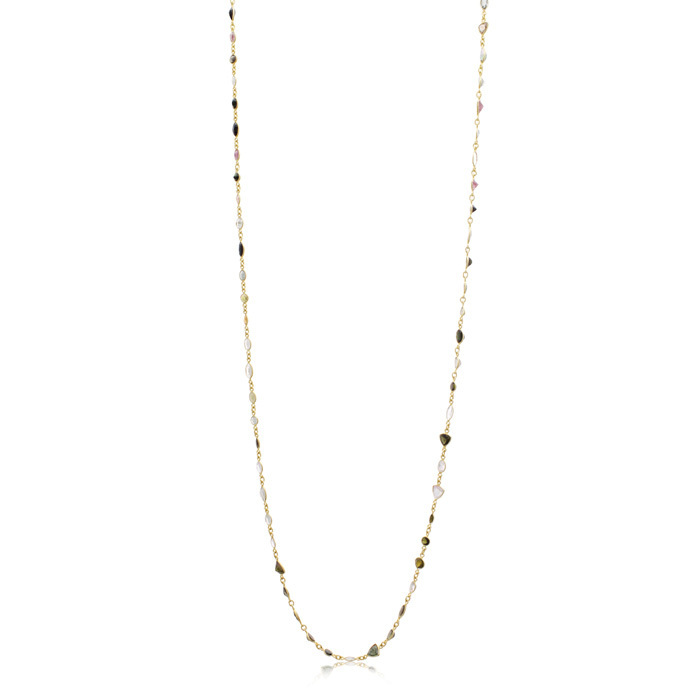 This necklace is 34 inches long and has a lobster-claw clasp. Necklace is in 14 karat yellow gold over sterling silver.